Our team of over thirty friendly Experts (we like to call them Black Shirts!) 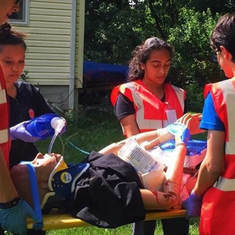 are certified Instructors by the American Safety & Health Institute, MEDIC First Aid, and the American Heart Association with years of experience as First Responders, EMTs, Paramedics, and other medical professions. We pride ourselves in being up to date with the latest Emergency Cardiovascular Care Sciences and Evidence Based Practices, and we're ready to help you! 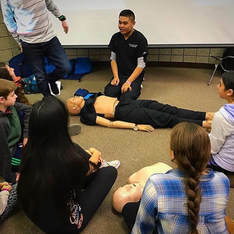 As an Authorized American Heart Association Training Site, we donate free CPR & First-Aid courses year round, fighting against the survival rates of Cardiac Arrest and Injury. 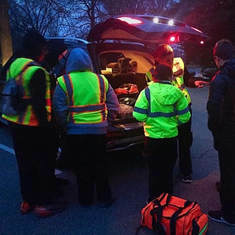 Our subsidiary branch, the Advanced Clinical Triage Squad provides voluntary medical support to over ten major organizations and assists local first responders and authorities. HAMES actively continues to implement free Public Access First Aid Stations to multiple facilities to keep our communities safe. ​Tell us how we can help! ​Fill out the form below to get started. ​best Black Shirt based upon your needs within 1-3 business days. It's a date! Grab some popcorn. ​We'l take care of the rest. ​Take another session, its on us! Checkout Our Credentials Before Chatting With Us.